Forms as volcanic lava and magma cool. Earth's Crust is 95% this rock type. Pumice is an example of this type of rock. Obsidian is of this rock type. Forms below ground from pressure & heat. Erosion brings it to Earth's surface. These rocks have wavy lines. Anthracite coal is of this rock type. Marble is an example of this type of rock. Forms from sediment on ocean floors. Fossils are found in this rock type. It is made up of many distinct layers. Limestone is of this rock type. Chalk is an example of this type of rock. 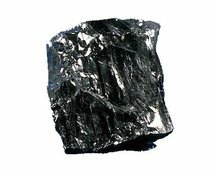 Coal is an example of this type of rock. Covers the majority of the Earth's surface.